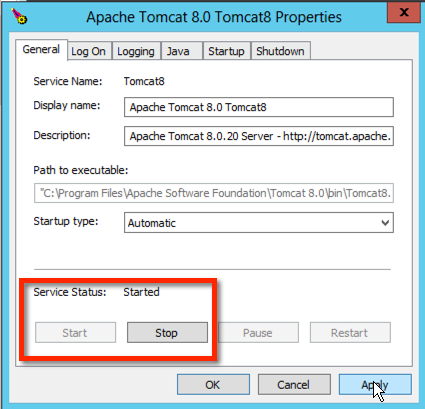 So, in this first post our goal is to get Apache Tomcat running on a Windows machine installed as a Windows service. Onwards! Since Solr and Tomcat both require the Java Runtime Environment (JRE) to run, we'll need to start with installing the correct JRE for our machine. This guide uses jre-8u31-windows-x64.exe. 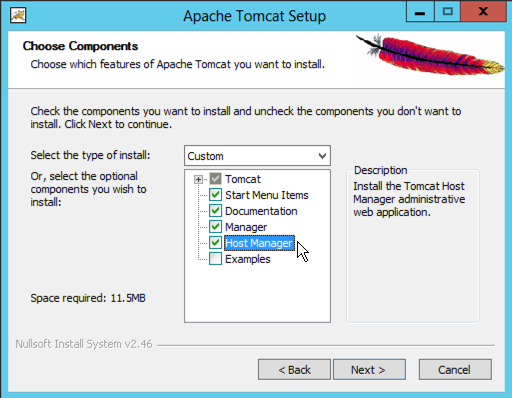 Download and install the Windows Service Installer for Tomcat. 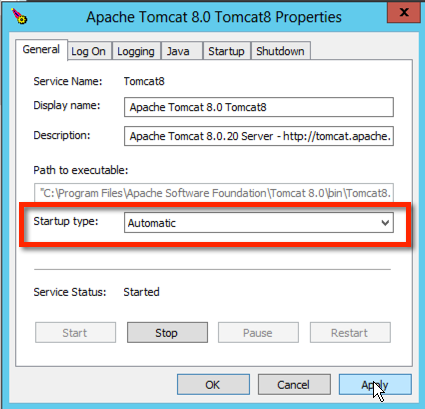 This guide uses version 8.0.18 of Tomcat, but you can safely use a more recent version. There are a few decisions to make with the installation wizard. 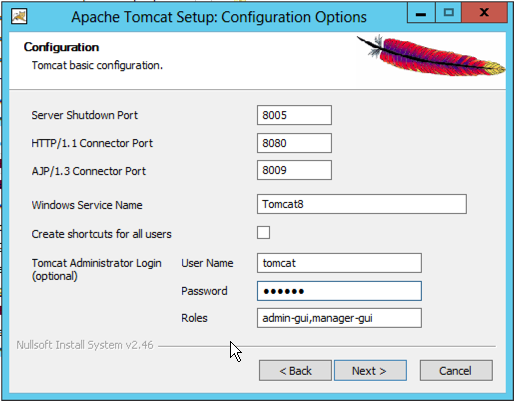 You may choose to install the Host Manager component; this will expose a host manager gui to Tomcat’s built-in administration page. The default port used by Tomcat is 8080 (used to be 8983) but you may elect to use some other port. Don’t choose port 80 unless you are prepared to tinker with IIS to re-route requests meant for Tomcat to Tomcat; it’s not really worth the effort. Nevertheless, here is a link to a helpful resource: https://confluence.atlassian.com/display/JIRA/Integrating+JIRA+with+IIS. 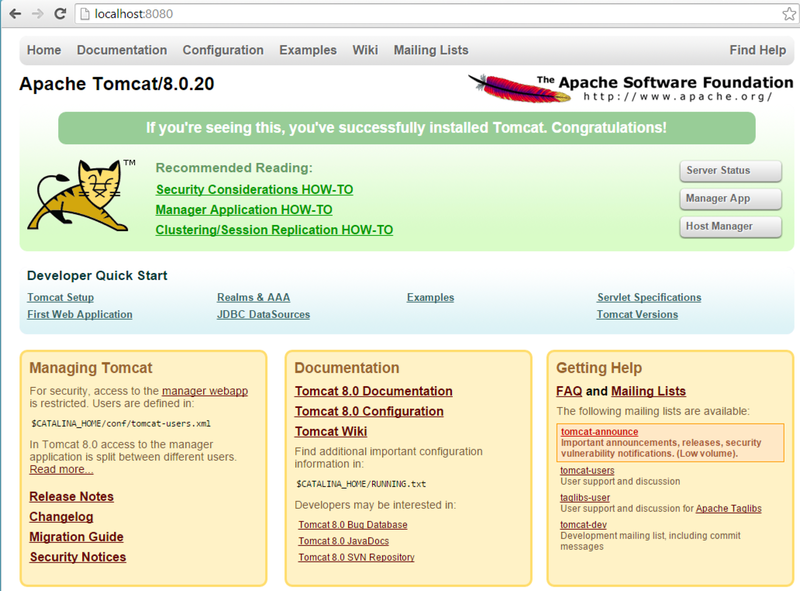 Test the Tomcat installation by pointing your browser to http://localhost:8080 assuming that you used port 8080 as your HTTP Connector Port. At this point you should have a working Tomcat installation that will be available even after a reboot of your machine. In the next post of this series we will tackle installing Solr on top of Tomcat. There are actually a number of possible shortcuts I could have taken with this walkthrough (e.g. using one core for all indexes) but I wanted to document the process in gory detail since those same shortcuts can't be used in higher environments.